Take Our Arizona Title 4 Basic Training. AZ DLLC Alcohol Server APPROVED Online Certification Course! Approved Arizona Title 4 BASIC Liquor Law training online. The course covers both on premise and off premise certification, and is designed to promote the responsible selling and serving of alcoholic beverages in Arizona. Anyone selling alcoholic beverages in a retail establishment or serving drinks in a restaurant or bar will benefit from this course. We focus on the techniques to recognize intoxication and how to intervene. Keep your customers and your business safe. Learn about minors, ID checking and Arizona law. 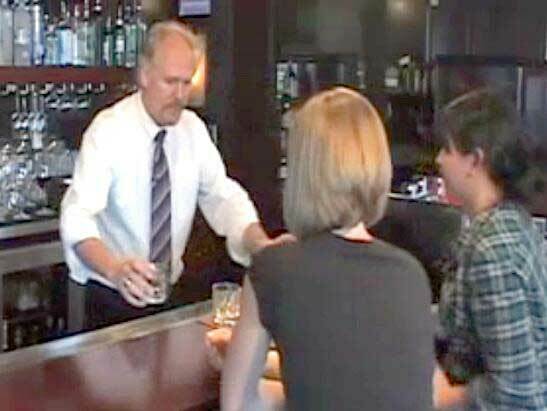 The state of Arizona's alcohol seller server training program is called Title 4 Training. It is an educational training tool for sellers servers of alcoholic beverages. Learn to serve responsibly and stay within the law. The AZ Title 4 certification program is a preventive measure to discourage overserving and drunk driving. Approved in Arizona by the Arizona Department of Liquor Licenses and Control and meets all requirements. On Premise Employee, Servers, Bartenders, Restaurants, Bars, Hotels and Barbacks. On Premise Manager, Restaurants, Bars, Hotels, Nightclubs. Off Premise Employee, Off Premise Manager, Clerks at Liquor, Grocery and Convenience Stores. We provide a Title 4 (Arizona liquor law) training course that has been approved by the DLLC, and may require Title 4 training for applicants, licensees, managers, agents and other employees - A.R.S. 4-112(G)(2). A Certificate of Completion may be required for Liquor License Owners, Agents, and Managers involved in operation. Basic courses cover both off sale and on sale. Valid for 3 three years. Arizona liquor law does not require all employees to have a Certificate in licensed establishments. Why take our Online Title 4 Training Seminar? Reduce the risk of legal issues against you and your employer with the most comprehensive training available in the state of Arizona (You are required to know the liquor laws in Arizona State). Your Certificate of Completion will be available to you for immediate printing after you complete our Basic Title 4 seminar! Get your Title 4 Training the quick and easy way and have some fun while doing it! Our philosophy here at AACEA is to provide Alcohol Seller/Server Education to Alcohol Sellers, Servers, and Managers focused on Customer Safety by promoting Responsible Alcohol Sales and Service in order to help you recognize and eliminate liability.